I have been doing some work with ruby recently. 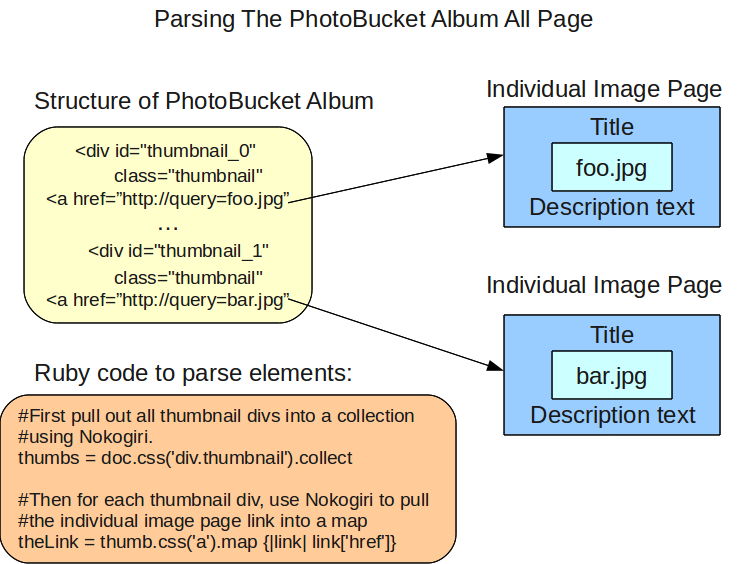 The first script I wrote uses Mechanize and Nokogiri to download a photo bucket album. Ruby is all new to me. Prior to this script I had only gone through the try ruby course. I also created a GitHub account and a repository for the fetch photobucket script. This script reads the url of a photo bucket album from a file named AlbumUrl.txt in the current working directory. The script will create a directory for each image in the album. Inside the directory the image will be downloaded and a simple html file will be created to display the image.